In real life, we age so slowly that it’s impossible to see the changes day to day. It’s thanks to photographs—and especially movies—that we can observe the passage of time and get an idea of what people might have looked or acted like at different ages. These ten movies, all new to streaming on Netflix, deal with aging, generation gaps, or looking forward or backward in time—at where we’re going and where we’ve been. And all are interesting enough that you won’t feel you’ve wasted your time watching them. Filmmaker Michael Apted worked on the 1964 television production 7 Up, which interviewed various seven-year-old kids about life. Seven years later, he turned director and returned to interview them again. In 1984, 28 Up was released in theaters for the world to see. Now it’s time for 56 Up (2012), the latest entry in a most extraordinary documentary series. Viewers are allowed to watch as the subjects age on film, going through life changes in the blink of an eye—falling in love, getting divorced, falling in love again, and even disappearing from and reappearing in the film. You needn’t have seen any of the other entries—you can jump in with any one of the films. In its way, The Expendables 2 (2012) also tackles the themes of aging. It presupposes that viewers are already familiar with the images and screen personalities of Sylvester Stallone, Jason Statham, Jet Li, Dolph Lundgren, Chuck Norris, Jean-Claude Van Damme, Bruce Willis, Arnold Schwarzenegger, and so on, as it plays around with them, making jokes about the characters’ ages and experience. The plot this time involves avenging the death of a colleague and preventing the bad guy from securing a stash of plutonium and taking over the world. Against all odds, director Simon West and screenwriter Stallone make vast improvements on the lame first movie, and deliver an explosive good time. The Detective Dee character is based on a real figure, first immortalized in print in the 18th century. Hong Kong filmmaker Tsui Hark is himself a kind of legend, having almost single-handedly revitalized his country’s film industry in 1986 with the double-whammy of A Better Tomorrow and Peking Opera Blues. Two legends from across time collide in this king-size mystery. But though Tsui is gifted at smooth, kinetic, beautiful filmmaking and crisp, exciting action, he’s not so good with convoluted plots, and the 122 minutes of Detective Dee and the Mystery of the Phantom Flame (2010) is sometimes hard to follow. Happily, the movie looks spectacular. Andy Lau stars as Dee, and the legendary Sammo Hung choreographed the fight scenes. Writer/director Barry Levinson began his career three decades ago with a low-budget wonder, Diner, and returns to those low-budget roots with The Bay (2012). Unlike Diner though, The Bay is not a funny, warm character study, but rather a vicious, brutal cautionary tale with lots of gore. In a way, it’s more reminiscent of another Levinson movie, the political satire Wag the Dog. Shot like any of those various “found footage” horror movies (The Blair Witch Project, Paranormal Activity, and so on), The Bay takes place in Chesapeake Bay on the Fourth of July, where people begin getting sick and developing horrible blisters and boils. Soon it is revealed that a series of man-made conditions combined to create mutated, deadly super-parasites called isopods. Kether Donohue stars as the journalism student who pieces together all the footage. Several decades’ worth of generation gaps meet and collide in Sean Baker’s excellent Starlet (2012). Dree Hemingway stars as a young pornographic-film actress living with her friend and her friend’s boyfriend. She goes thrift shopping for things to spice up her room and purchases a thermos from a cranky old lady, Sadie (Besedka Johnson), at a yard sale. She discovers that the thermos is full of money and faces a crisis of conscience. She befriends the lady, but thankfully Starlet doesn’t use the ages-old “liar” plot, nor does it go where you might think it’s going. Rather, the movie focuses on the friendship—cranky, awkward, funny, and surprising. To add to the generational aspect of this movie, Dree Hemingway is the great-granddaughter of author Ernest, and the daughter of actress Mariel. The silly-sounding name belies a tough English cop movie; it comes from Cockney Rhyming Slang. (“Flying Squad” = “Sweeney Todd” = “Sweeney.”) The squad, part of the London police force, uses all kinds of unorthodox methods—including baseball bats—to get results, but now they’re under investigation. Worse, squad leader detective Jack Regan (Ray Winstone) is having an affair with the investigator’s wife (Hayley Atwell). The Sweeney (2012) is based on an English TV series from the 1970s. Oscar-nominated co-screenwriter John Hodge (Trainspotting) helps turn this into a character piece first and a police drama second. If you saw Johnny Depp in this summer’s The Lone Ranger, you’ll notice his penchant for wordless, deadpan comedy, such as the kind Charlie Chaplin and Buster Keaton used to employ in their masterful silent-era movies. Going back 20 years, Depp played another oddball in Benny & Joon (1993), a strange kind of comedy-romance. Benny (Aidan Quinn) cares for his mentally ill sister Joon (Mary Stuart Masterson), and Sam (Depp) comes to live with them, becoming Joon’s “housekeeper.” Sam is illiterate but loves movies and knows how to perform silent routines a la Keaton and Chaplin, especially Chaplin’s famous “dance of the dinner rolls.” It’s a bittersweet movie, but not an unpleasant one. Writer, actor, and comedian Albert Brooks had a pretty good run of movies, generally high-concept, high-anxiety comedies, in the 1970s, ’80s and ’90s. In 1996, he had the inspired idea to cast Debbie Reynolds in her first leading role in decades in Mother (1996). She plays the title character, and when her son—an unemployed writer played by Brooks—moves back home with her, their tense relationship forms the basis of the humor. Indeed, sometimes the anxiety exceeds the comedy. Performing on stage and in film since the 1960s, the great English actor Ian McKellen played the serpentine Richard III on stage all through the 1990s before bringing the role to the screen in Richard III (1995), one of the best of all Shakespeare movie adaptations. After perhaps hundreds of stage performances, this is the one performance to be immortalized in film. 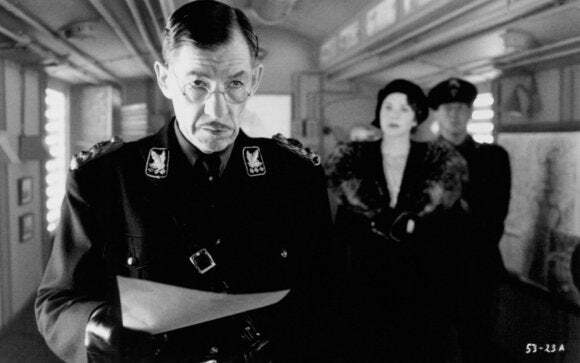 The movie sets the events in the 1930s, using World War II imagery, and it’s amazingly irreverent—McKellen finishes the “winter of our discontent” speech while urinating. Americans Annette Bening and Robert Downey Jr. are also among the cast and hold their own against the seasoned Englishman. Richard Loncraine directed. Of course, McKellen went on to even greater fame as the ageless Gandalf in the Lord of the Rings movies. Closing with another documentary, The House I Live In (2012), we follow filmmaker Eugene Jarecki as he goes back to his childhood and interviews his family housekeeper Nannie Jeter (that’s her real name). 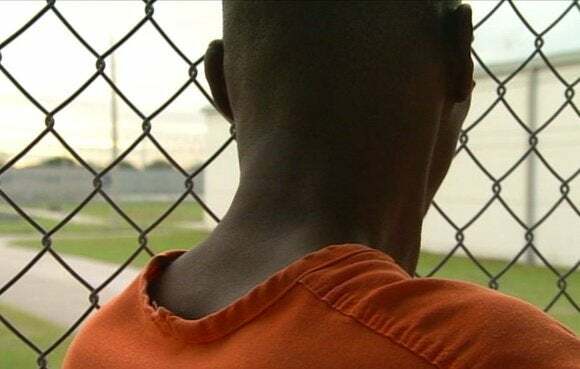 Her answers to his questions inspire him to probe deeper into the United States’ “War on Drugs,” and the results he finds are shocking, horrifying, and even disgusting. He reasons that, among other things, the “War on Drugs” has always been more of a racial issue than a health issue. Perhaps worse, it has turned into a massive and highly profitable industry. Happily, Jarecki’s approach is thoughtful rather than outraged. He is one of three filmmaking brothers—the other two are Andrew (Capturing the Friedmans) and Nicholas (Arbitrage).